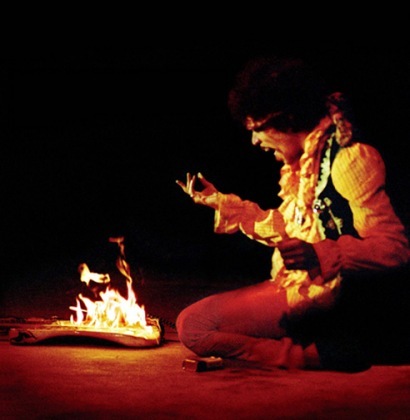 The now legendary “sacrifice” consisted of Jimi pouring a bottle of lighter fluid over it, bending over the guitar and kissing it on it’s neck and then setting the guitar on fire with a match. He then then picked it up by the neck, waved it over his head and smashed it against the stage, breaking the body from the neck. 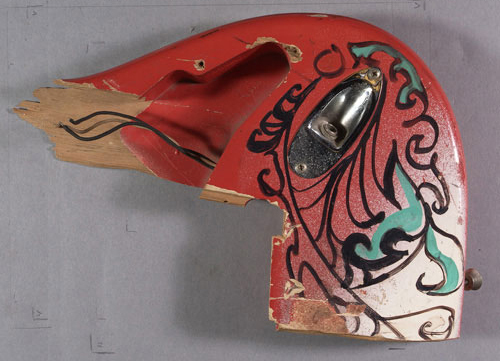 Hendrix personally painted the guitar with the top half over-painted in white spray-can aerosol and with intricate drawings of vines, roses and love hearts adorning the scratchplate, upper horn area, and lower curve around the jack cup. 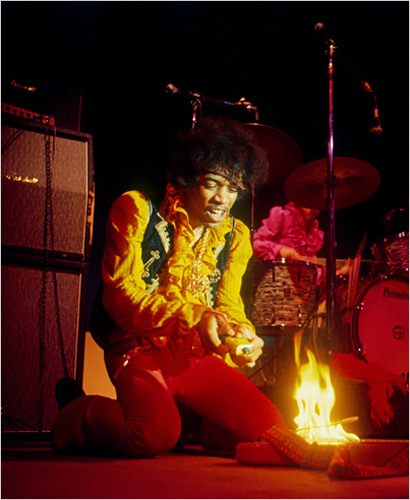 After Jimi “sacrificed” the guitar he threw it’s parts into the crowd and left the stage. A piece of the “Monterey Strat” is on display at the the Experience Music Project (EMP) in Seattle Washington. I caught the guitar knew at Monterey where is it now ? 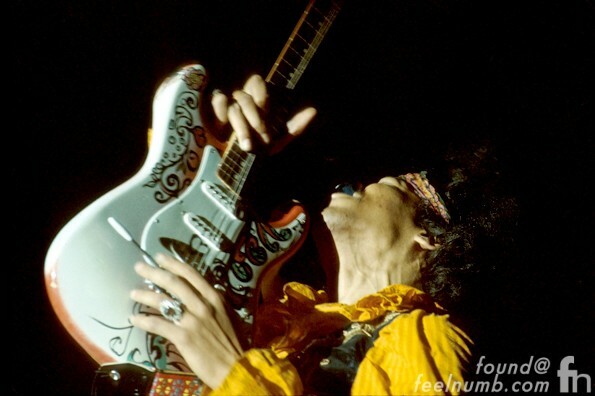 I caught Jimmie Hendrix guitar neck at Monterey Pop Festival where is it now ? The red Strat (unpainted) is a different guitar. It has a maple fingerboard not the rosewood on the Monterey Strat. 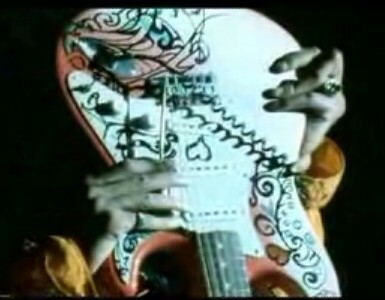 I have suspected Jimi was making a statement to CBS over the changing direction of Fender Guitars after Leo sold it. I think this possibility may have been overlooked by everyone. 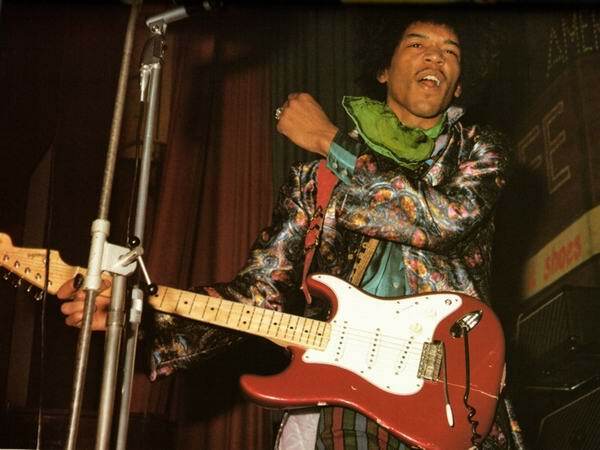 The rosewood neck, which would hint to a pre CBS Strat, may not fit into that theory, but Jimi was a very multi faceted guy who's mind worked on many levels.